Foto de stock - Unidentified Tourists visiting and shopping in the Grand Bazaar in Istanbul. 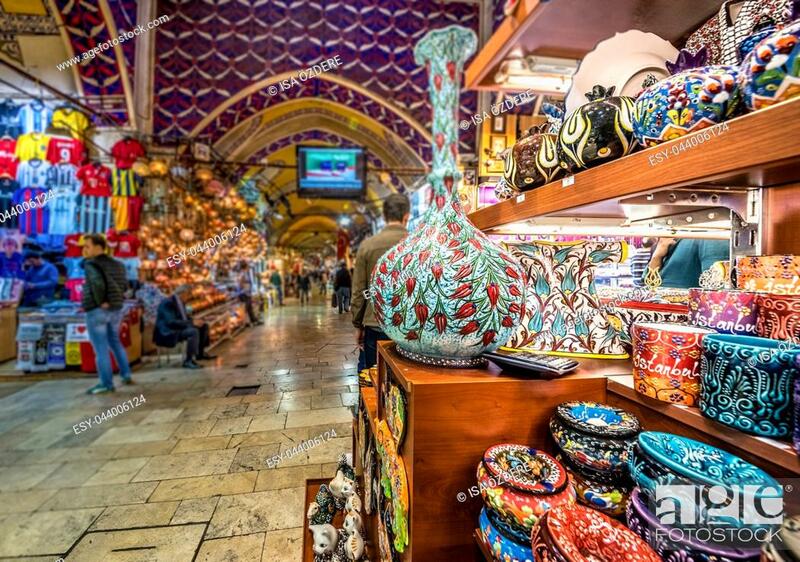 Interior of the Grand Bazaar with souvenirs on the foreground. Istanbul, Turkey. April 17, 2017.